Chinese Zhaoqing Duan Yan Ink Stone Meihua Keng inkstone 12x11x4.3cm by Wisdom China Ink Stone at Stickman's Blog. MPN: 13018. Hurry! Limited time offer. Offer valid only while supplies last. Inkstone is the most important one of the ''four treasures in study''.Ever since there was paper and Chinese ink writing there was inkstone as well. Inkstone is the most important one of the "four treasures in study".Ever since there was paper and Chinese ink writing there was inkstone as well. The earliest existing reference dated to five thousand years ago. The ordinary use of inkstone is to help the ink stick to rub on the stone to make the ink for writing and painting. 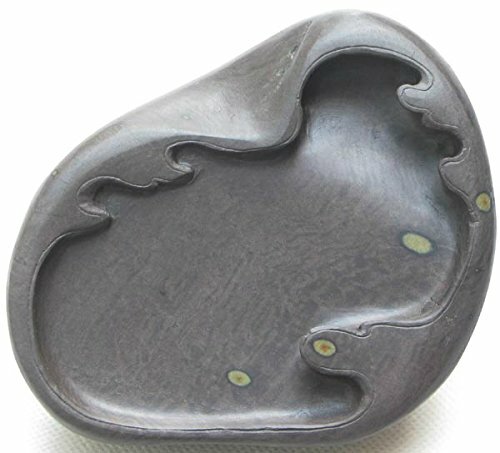 DUAN inkstone is made in Zhaoqing,we called it duan zhou in ancient days.It is the best place of inkstone making.DUAN inkstone can be easily sold over RMB10,000.A top-class inkstone may has a value of over millions.It is made in the tradition way by hand. Best for you!! Small stone. Size: about 12*11*4.3cm. This is a Meihua keng inkstone. Each stone is unique. There are various distinctive stone markings, due to various rock materials imbedded in the stone, these minerals creat different colors and textures of stone. But every stone has a smooth, satin sheen and you can feel the polished surface when you touch it. If you have any questions about this product by Wisdom China Ink Stone, contact us by completing and submitting the form below. If you are looking for a specif part number, please include it with your message.